A gift from my eldest son, passed down the pew to me in the middle of sacrament meeting yesterday. Yep. I'm the luckiest mom ever. 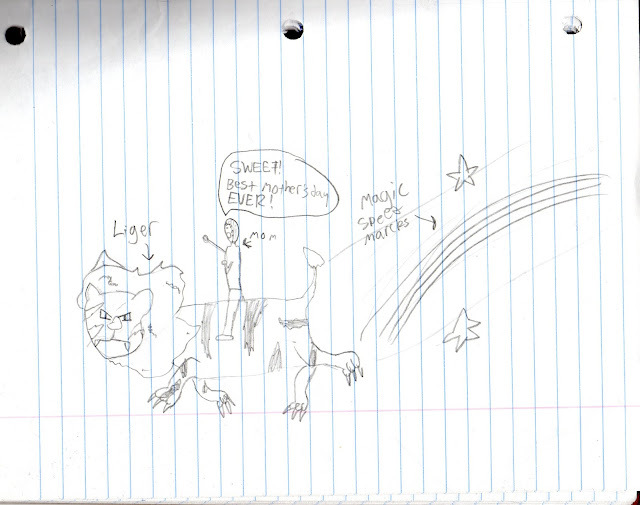 Did any of you get a magical liger ride for mother's day? I didn't think so. Lol the first thing i said before reading any of this was "is that a liger???" Awesome!! !